According to a recent Governors Highway Safety Association report, 2018 was the deadliest year for pedestrians in more than 30 years. More than 6,220 pedestrians died last year alone, which is an increase of 250 people from the previous year. This is the highest number of pedestrian-related deaths since 1990, giving us pause for concern. There are numerous reasons why pedestrian deaths are on the rise, including the popularity of smartphones and driver distraction. The United States saw the lowest number of pedestrian deaths in 2009 (4,109) and researchers suggest a 51.5 percent increase in these types of deaths over the last decade. Sadly, the majority of pedestrian deaths could be avoided, as many Lake Charles car accidents take place on rural roads after dark. Since 2009, we have seen nighttime pedestrian-involved accidents account for more than 90 percent of all pedestrian deaths. With this in mind, it is no wonder lawmakers are calling for educational PSAs that inform drivers of these shocking numbers and the reasons behind the increase in pedestrian deaths. 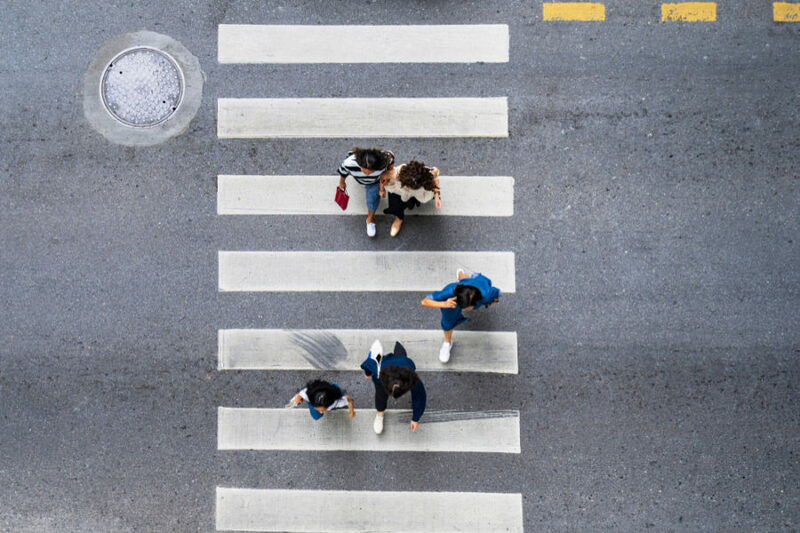 To reduce the number of pedestrian-vehicle accidents in Lake Charles and throughout the rest of the country, it is important to understand Louisiana’s pedestrian safety laws. The above are some of the most common reasons for pedestrian accidents, however, there are many different situations that may put pedestrians in danger of being injured – or worse. Pedestrians must use the sidewalk – In Louisiana, it is illegal for anyone traveling by foot to walk along the roadway if there is a sidewalk present. If there isn’t a sidewalk, pedestrians are required to walk on the left side of the road or on the shoulder of the road, facing traffic traveling in the other direction. Pedestrians must obey traffic signals – Contrary to popular belief, pedestrians do not always have the right of way. In Louisiana, they are required by law to obey all traffic signals. It should be noted that pedestrian signals (like walk and do not walk) overrule traffic signals. Pedestrians have the right of way in marked crosswalks – Louisiana law states that vehicles must yield to pedestrians within the crosswalk, regardless of that vehicle’s actions. If you have been injured in a pedestrian accident in Lake Charles, please do not hesitate to contact Shamieh Law today and schedule a free consultation with one of our experienced car wreck lawyers.